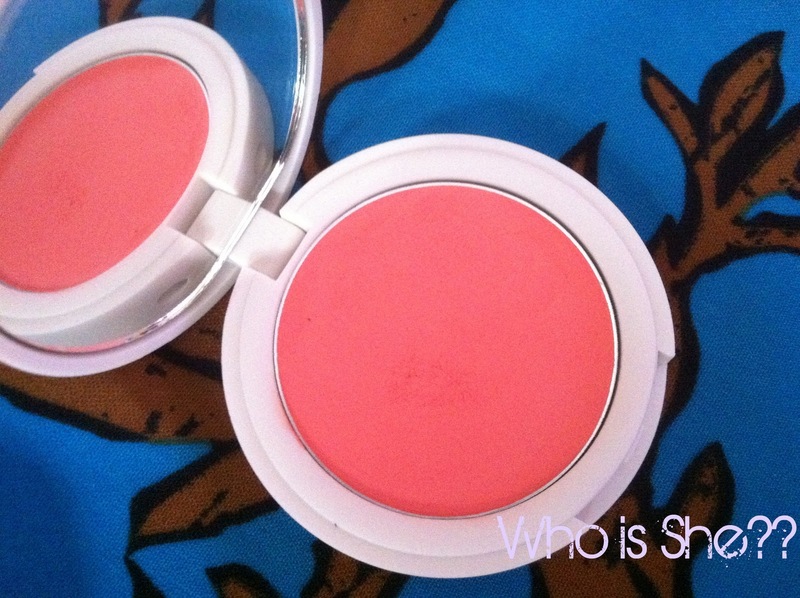 So if you saw my post earlier on in the month of what I recieved in my RayBox you will have noticed that I had bought a Topshop Blush in Pinch. Now considering how long Topshop makeup has been out (and you know how that place is my second home) I've finally gotten around to buying some of their cream blushes for my holiday, as I don't want to be taking my beloved Mac Posey with me incase anything happens to it. Firstly the packaging- how cute!! Really like how simplistic it is, yet its really girly. Definate thumbs up for me Sir Green. So onto the colours which I have bought.. This actually looks like a bright fushia pink in this picture however I don't be put off as its actually quite a light pink when you put it on. It actually reminds me of a slightly lighter version of Mac Posey. This is a beautiful coral. Seriously balls to Mac Posey, I've been wearing this everyday for work since getting it. It honestly like a your cheeks but better shade. This looks slightly pink in this photo however the picture below you can clearly see the difference between the two. Head Over Heels (bottom), High Five (top). Now initally I didn't take any swatches when I took these photos as I had my dark fake tan on, and the colours weren't that vivid, so cue de-tanned arm swatches for you. High Five- Top, Head Over Heels- Bottom. 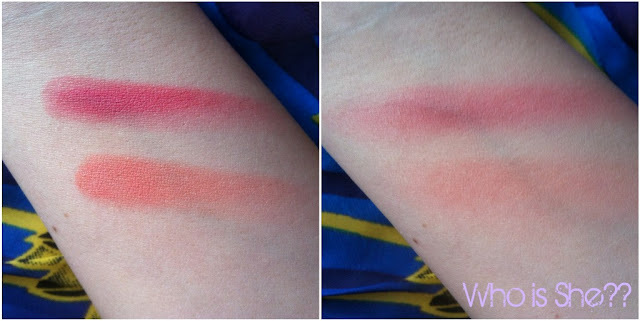 Picture on the left is heavily swatched, picture on the right is them blended out. I've been using my Elf Stippling Brush to apply this, and I think I've been lost throughout my life for not using one of these brushes. I really want Neon Rose. 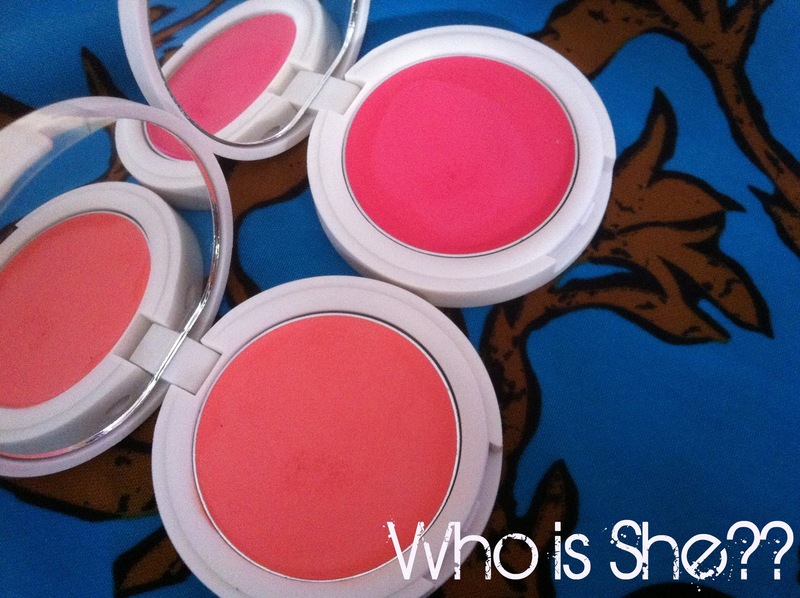 Topshop Cream Blushes cost a purse friendly £6 and is avaliable online or in selected stores. ooooh I want the pink fushia one. and I love the price too! I wear Head Over Heels every day too! I also have Pinch that I love but it requires far too much blending for work days! I have Head over heels and I love it so muchhhh . 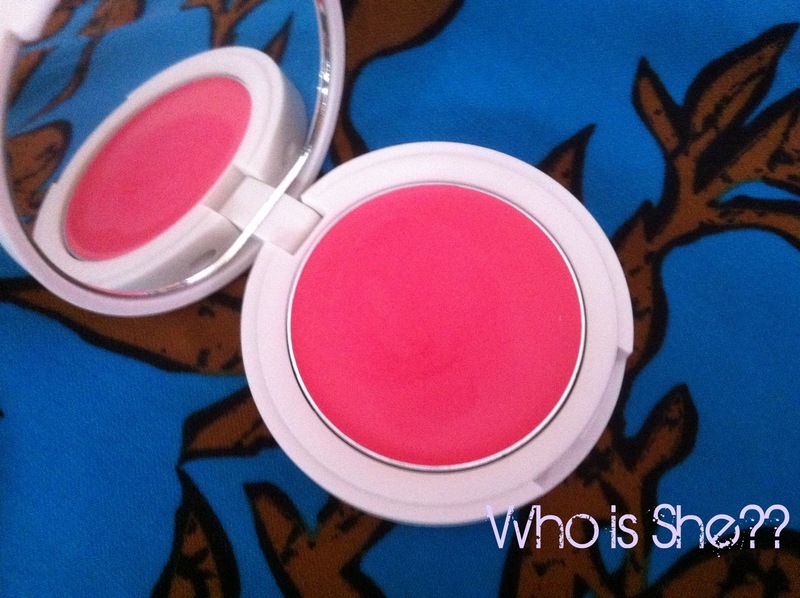 It is my first topshop make up item and I was so glad with the packaging and the texture!